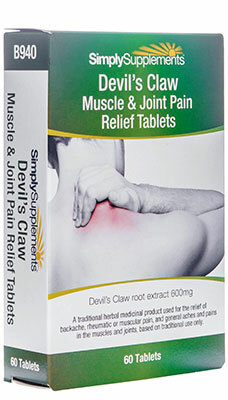 Glucosamine and chondroitin naturally occur in the body. However, there are a number of different factors that can affect the body’s ability to produce glucosamine and chondroitin, such as the natural ageing process, trauma, injury and ongoing medical conditions. Consequently, millions of individuals across the world are utilising glucosamine and chondroitin supplements to ensure a consistent and hassle-free intake of these well renowned ingredients. 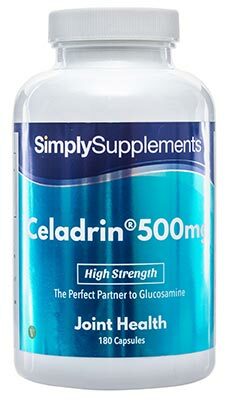 Glucosamine and chondroitin are often referred to as a ‘perfect partnership’ as their roles are thought by many to complement each other in helping people maintain a healthy and active lifestyle. Calcium has been incorporated into this high-quality formula to support bone health alongside proper nerve and muscle function. As the body ages, it becomes even more important to keep muscles in the best condition possible, as muscle mass and strength naturally decline with age. 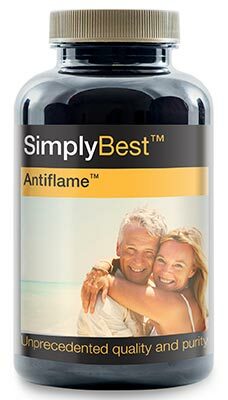 For maximum benefit, Simply Supplements have added high-quality calcium to these SimplyBest capsules to help enhance the absorption rate of glucosamine and chondroitin into the body. 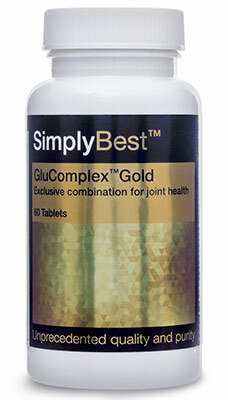 Simply Supplements Glucosamine 700mg, Chondroitin 600mg & Calcium 60mg capsules use only the finest quality extract ingredients to help support your active lifestyle. The glucosamine sulphate 2KCI used provides a higher concentrated nutritional value that exceeds other types of extracts you might find in competing supplements on the market. Glucosamine is notorious for its unstable nature during the manufacturing process, which is why Simply Supplements have gone to great lengths to add potassium chloride to the mixture, helping to stabilise and enhance it. 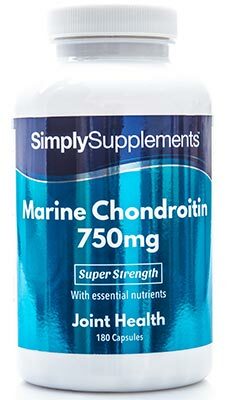 The chondroitin sulphate in these SimplyBest Glucosamine 700mg, Chondroitin 600mg & Calcium 60mg capsules is taken from marine sources, meaning that they are derived from shellfish. This ingredient is supplied from some of the cleanest and purest waters in the world, where industry-leading suppliers carefully monitor the surrounding environment to ensure you receive the best nutrients possible. 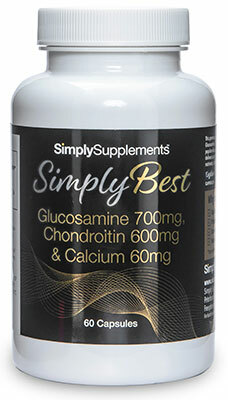 These SimplyBest Glucosamine 700mg, Chondroitin 600mg & Calcium 60mg capsules make use of Simply Supplements exclusive EasyGest capsule system. These easy-to-swallow, two-piece capsules can be opened and added to food and drink if you struggle to take tablets or capsules orally. If ingested, they have been designed to dissolve in minutes after being consumed, quickening the effectiveness. Simply Supplement manufactures all products in the UK to strict EU standards and regulations. An advanced manufacturing process, complete with state-of-the-art facilities and equipment, is used to help fortify all ingredients and the potential health benefits they may provide. Simply Supplements SimplyBest Glucosamine 700mg, Chondroitin 600mg & Calcium 60mg capsules have been approved by both the Good Manufacturing Practice (GMP) and the European Food Safety Authority (EFSA). Carbonate, Anti-Caking Agent (Magnesium Stearate). 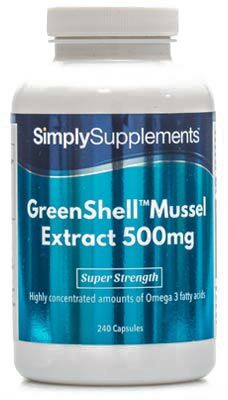 For adults take two capsules daily as a food supplement or as directed by a healthcare professional. Store in a cool dry place. Keep away from children at all times. Do not use if the seal is broken.